The dog voice can be a beautiful sound. I love my jerk-dog's bark. It is deep and rumbling like a thunderstorm. I do not particularly like it at 3 am when he thinks there is a raccoon on our roof, however, but sometimes those are the breaks of dog ownership. Some breeds of dog do not actually bark. Basenjis are one. Most huskies are capable of barking but choose to woo-woo, howl, growl, grouse, grumble and make any other number of odd noises (we find huskies hilarious at Camp Sammy). Most of us, however, have a bark-capable dog and have various opinions and worries about the issue. Dogs naturally bark. It is part of their language. In fact, research has shown that a dog can be individually identified by his or her unique bark (Yin & McGowan, 2004). Within a dog pack, the bark serves a number of purposes including alerting the pack to possible dangers. Probably one of the most heinous surgeries people could to do to their pets is de-barking. I do not think it is something veterinarians will agree to do anymore...but seriously there is a circle of Hell for dog owners who seriously consider debarking. Virgil is waiting for you. People are so caught up in dog barking that this group of researchers even tried developing a computer algorithm to identify dog barking reasons and contexts (Molnár et al, 2008). Most dog owners understand that barking is a natural and healthy behavior for a dog. 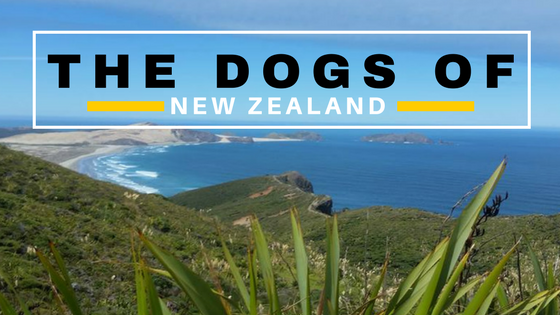 It is a natural cathartic response (your dog barking, not you barking...although if you feel like barking have at it!). However that does not mean you should not control it to some extent. 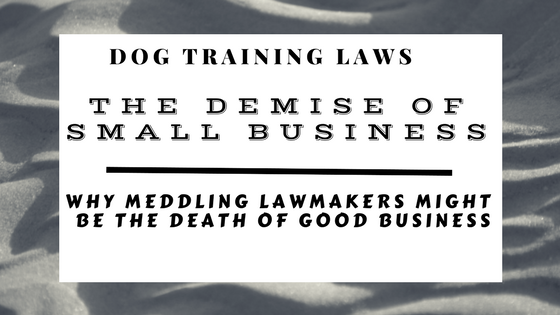 When left to their own devices, dogs will bark at whatever they deem deserving of a bark, which could be those terrible fireflies on those late summer nights or the neighbor's birdhouse, or other super important stressors. Dogs will make decisions based off of dog logic, and if often will not mirror your own hooman logic. If you want your dog to not bark all the time, I recommend teaching the dog a Quiet command. Usually the way I do this is by saying the new command (Quiet!) and then if the dog stops barking, he gets a reward. If he continues to bark, I usually will use some kind of sound correction, like compressed air and say NO! at the same time that I use the sound correction, then I say Quiet! again. 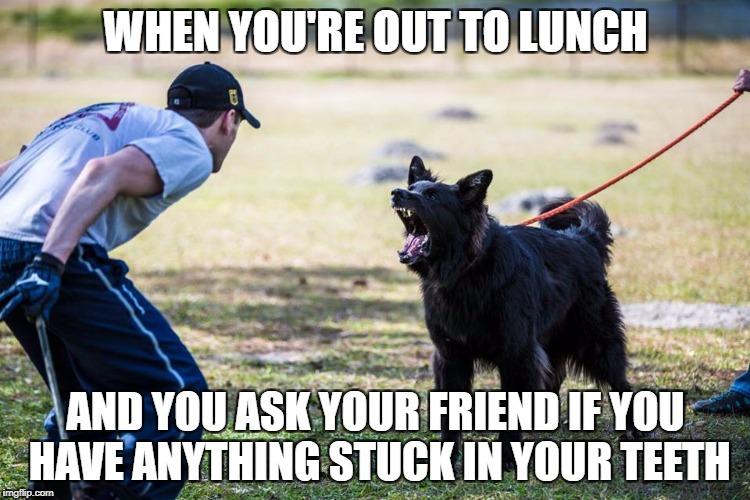 Usually the dog is startled and stops barking. Then you reward him for not barking. Some schools of thought do not like the introduction of the correction into the behavior and simply advise you to wait until the dog stops barking and then reward. 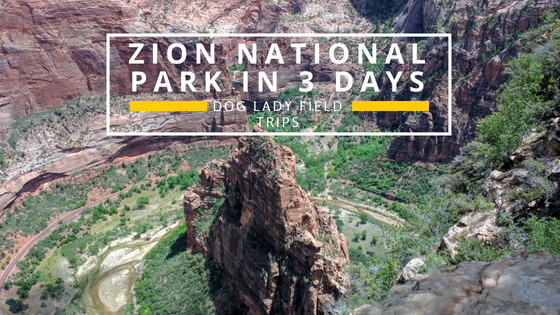 It is up to you and your dog's personality whether you want to introduce the corrective measure into the mix. In the case of neurotic barking, you might have to in order to break the neurotic cycle. 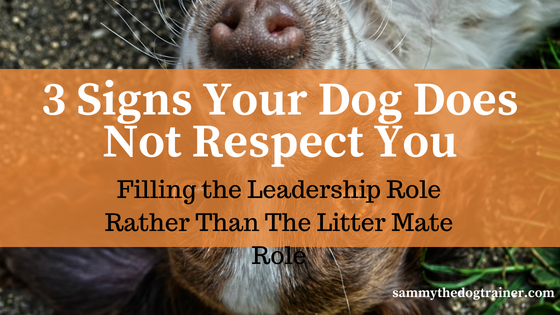 Why does my dog neurotically bark, and what does that mean, Sammy? Well, that means that your dog barked and she felt some pleasure or measure of comfort in the action of barking, and so she repeated the behavior...over and over and over. Because if it's good once, it's good a million times in the dog brain (ever play fetch with a retriever?). See how the cycle feeds itself? This is a neurotic cycle. Think ouroboros, only barking dogs and not snakes. Let's talk about being fair when using this though. 3 am? Okay. 24/7 not so much. It is not fair to take your dog's voice away entirely. Again, you will be creating some weird behavior monster issues. I recommend using the collar only at certain times and in conjunction with teaching your dog the command Quiet. Commands are an imperative part of your relationship with your dog, and necessary for your dog to understand how to please you. Work on them. 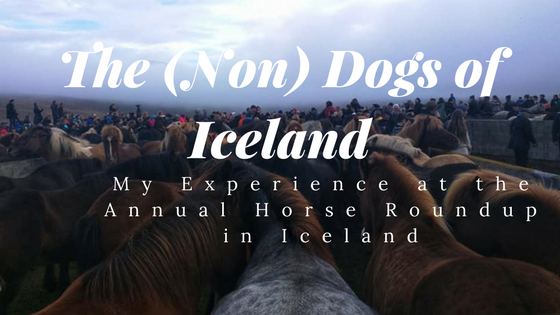 Again, however, it is a roll of the dice whether or not it will initially work on your dog and again another roll of the dice whether or not it remains effective. 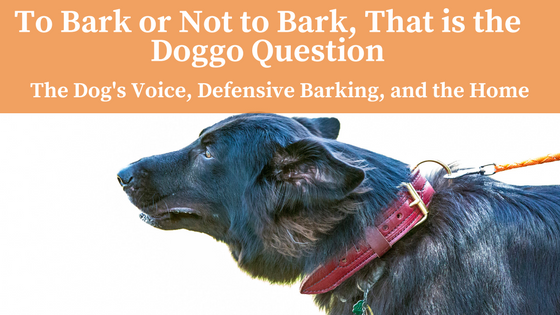 So now that we covered getting your dog NOT to bark, let's talk about teaching your dog to bark. Many people worry when they get a puppy that the puppy will never be a good guard dog. Generally this is an unfounded worry. 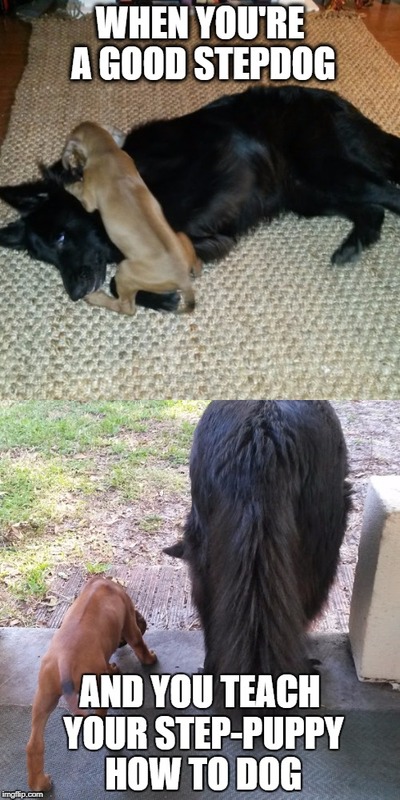 Once a dog becomes an adult (9 months- 2 years) you will find him discovering his protective instincts over his territory (his yard and everything he can see out the front window) and his pack (you guys). You can teach your dog to bark or Speak! on command. Basically you reward the behavior when it happens and give it a name. This is called a captured behavior. You can do this with anything your dog already does and make it into a command (Go Potty anyone?). Sometimes you can use a dog that already knows the command to teach it to another dog. Barking at you for a reward and barking at something else to protect you are two separate concepts in the mind of a dog. To awaken that protection instinct and teach your dog to actively defend you, you should seek professional help. 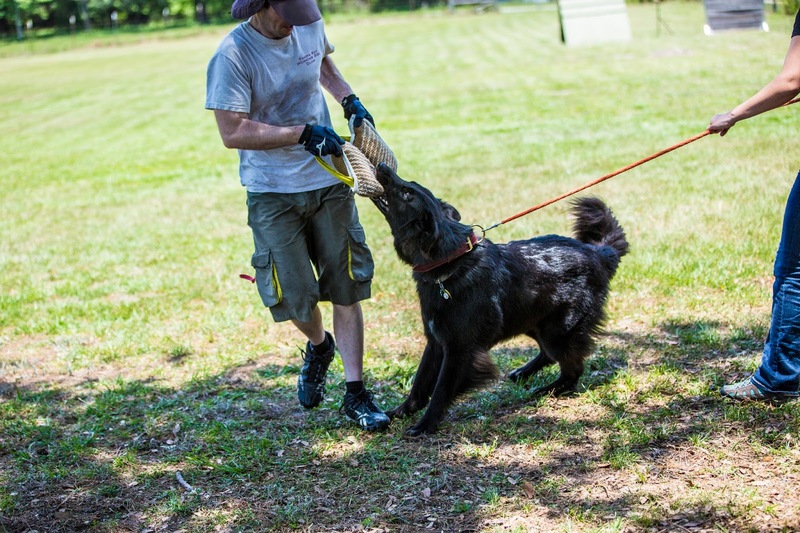 It is an art form to teach your dog protection work in a healthy fashion. I was super picky about who I would let work with my dog and if this is an avenue you want to pursue, then you should be as well. 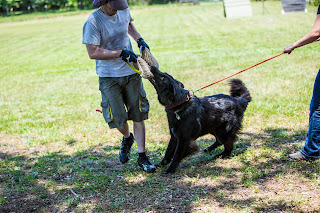 Schutzhund or IPO is a great sport to reinforce self confidence in your dog and to have an enjoyable pastime that builds the relationship between you and your dog. Although the typical protection breeds like German Shepherd Dogs, Belgian Malinois, Doberman Pinschers, Rottweilers, Cane Corsos, the bully breeds etc. dominate the sport, you can do it with pretty much any dog with more or less success (sometimes emphasis on the less if your dog has the activity level of a potato). 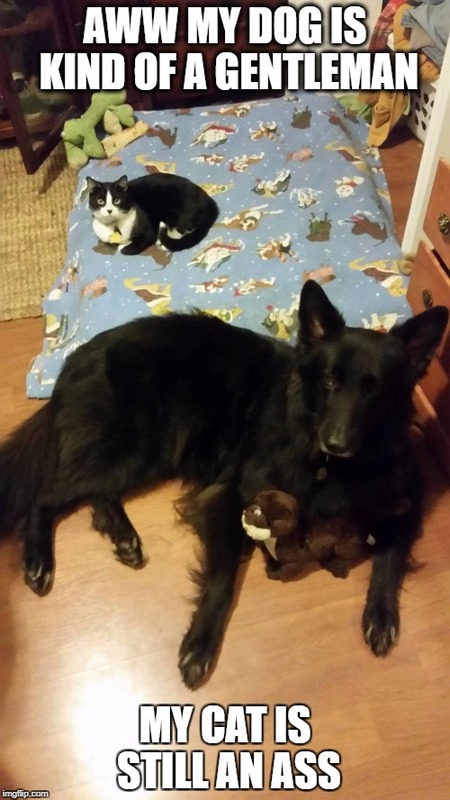 Sammy, doesn't protection work like Schutzhund make my dog vicious? No, not if done correctly. 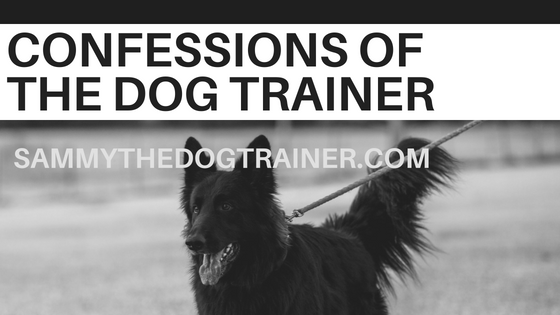 That is why you need to find a trainer that brings your dog up in the sport correctly and understands your lifestyle (i.e. your dog is a pet and you are not looking to be the police dog world champion). 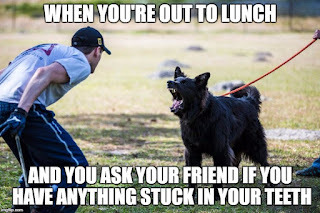 Schutzhund does not teach your dog to bite. Your dog already knows how to bite. 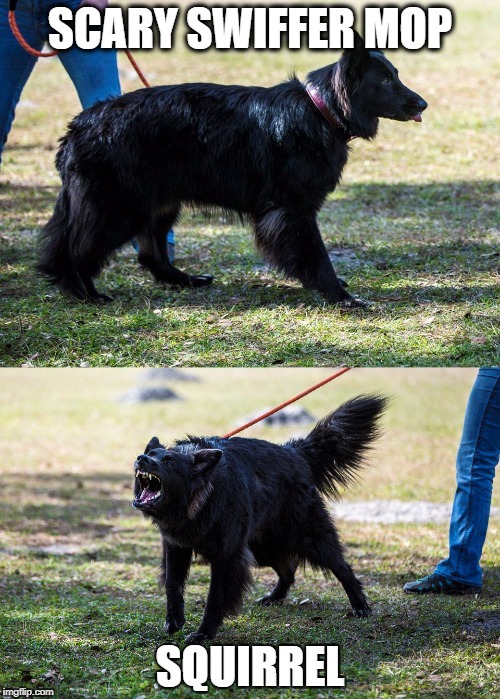 Schutzhund teaches your dog when to bark or bite (on your command), gives you the control over the bark and bite (rather than your dog choosing to do it randomly or based off of stress), and gives your dog confidence in his or her ability to do their part in protecting the pack. My dog is super gentle with people and would never intentionally harm one without my permission....even with my permission he would be really confused. 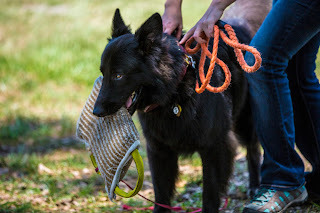 Mainly he just likes barking and biting the bit sleeve because he thinks it's a toy (super avid Schutzhund cultists will say it's not good that he views it as a game or the sleeve as a toy, but I do not care. Cultists are weird. And my dog is a pet not robo-cop). The people at the Schutzhund club call Whuffo a cupcake and for good reason. I can get him to release the bite sleeve (outing) by kissing his nose. Yep...huge floofy cupcake. I wish I could write a blog on how to teach your dog to guard you and bark to defend you, but really it needs to be done with a skilled professional who is experienced at playing the decoy (the bad guy). 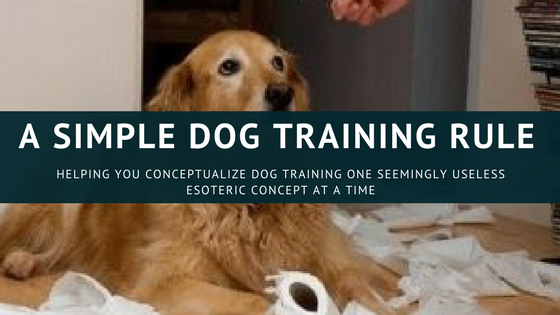 There are a number of ways they go about doing it (staking out and tabling can be controversial and I tend to shy away from those in favor of a slower handler driven introduction to defensive barking). 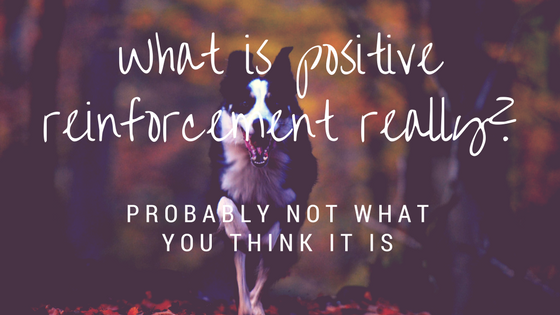 The general idea is that you have your decoy act scary and then as soon as the dog postures or barks defensively, you reward him and the decoy is "chased" away by the bark. The dog quickly learns that his bark drives the scary decoy away and it is an empowering experience on top of the atta-boys you give him. You could disregard my advice and YouTube how to teach your dog the Pas Auf or guard command. However, you could create, again, a behavioral monster and I do not recommend it. I claim no liability for your hold-my-beer-watch-this moments in any dog training situation, but especially this type of dog training situation.